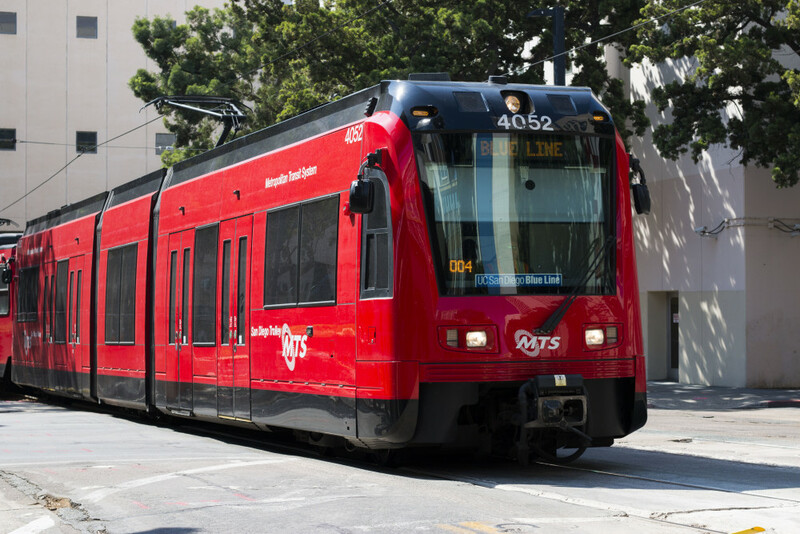 The traditionally risk-averse Metropolitan Transit System board elected a new chairwoman yesterday: Georgette Gomez, who is perhaps the most liberal member of the San Diego City Council. As our Andrew Keatts writes, Gomez’s ascent is a sign of changing dynamics in San Diego’s political culture. Former Councilman Harry Mathis, a Republican, had been chair of the 15-member MTS board since 2006. Another sign of the times: Mayor Kevin Faulconer showed up at the meeting. He doesn’t normally attend. He said Gomez was “the right person at the right time” to oversee the region’s largest transit agency. The change in leadership came because new legislation — passed in the wake of a scandal at the San Diego Association of Governments — required that MTS’s board be led by someone on the board. Until now, the chair could be anyone in the county. At times, MTS has seemed to take a very dollars-and-cents approach to things. The agency itself has often cried poor, but the new law gives MTS the authority to ask voters to raise taxes, which is sure to be a major decision facing the agency under Gomez’s guidance. County Supervisor Ron Roberts, a Republican, had previously indicated he was interested in leading the MTS board, but Roberts quickly removed his name from consideration at Thursday’s meeting. California’s lawmakers set out to limit how much local police could cooperate with immigration enforcement efforts. But there are so many gray areas and exceptions that police departments may be able to cooperate with federal immigration agents without violating any state mandates. As our Maya Srikrishnan writes, the Escondido Police Department must soon decide whether to accept a grant from the U.S. Department of Justice. To get it, the department had to agree to cooperate with federal immigration enforcement – something in conflict with California state law. Or maybe it’s not in conflict at all. Escondido’s police chief said they could comply with the federal government demands without violating state laws intended to restrict cooperation with immigration enforcement. Our podcast Good Schools for All is back after a hiatus. This episode: a roundtable on the future of teachers unions. Scott Lewis and the Workforce Partnership’s Laura Kohn hosted three members of educator unions in the podcast studio along with a local school district superintendent. At San Diego Unified School District, the union and district officials are currently in negotiations. There is no contract. The union is also considering a new teacher-evaluation system, though it’s not part of the current negotiations. And they all had a lot to say about a pending U.S. Supreme Court decision that could have a major impact on teachers union funding and thus politics at all levels. Amazon plans to build a second headquarters – but not in San Diego or Chula Vista. Both cities were considered long shots among the 238 cities trying to lure Amazon. The company announced 20 finalists on Thursday. Only one, Los Angeles, is on the West Coast. Cities across the country offered all kinds of subsidies and tax exemptions. Chula Vista, for instance, offered Amazon $410 million in free land, property tax breaks and other sweeteners. Mark Cafferty, CEO of the San Diego Regional Economic Development Corporation, the nonprofit that took the lead on putting together the San Diego region’s proposal, said he got a call Thursday from an Amazon representative to say the region wasn’t a finalist. The San Diego region lacks a few things that might attract a company like Amazon. Housing prices are high, public transit isn’t good and the main airport only has one runway. But if Amazon had said exactly why the region didn’t make the cut, civic leaders could then go about trying to make improvements. In Detroit, it seems officials got some indication from Amazon why they fell short: Amazon said “an insufficient talent pool in the region was the main reason,” according to the Detroit Free Press. If that were a problem for San Diego, it’s certainly something people could see coming from a mile away. Fast-growing Chula Vista has long hoped to attract a new university, but state officials have ignored the city, instead creating a new UC campus in Merced, a slow-growing Central Valley city that has less than a third of Chula Vista’s population. “While there is no way of knowing if an additional university in the Chula Vista region would have been a difference maker for the Amazon application process, there is no doubt that universities and their talent development capabilities play a big role in all tech and science-related sight selection,” Caffety said. There’s a legal argument to be made that these sorts of races to lure a new company’s facilities – often races to the bottom – violate the U.S. Constitution’s sweeping commerce clause. In 2012, the New York Times looked at how cities, counties and states offer over $80 billion in subsidies to companies. • The union representing 11,000 San Diego County government employees is starting a petition to change how county elections work. Service Employees International Union Local 221 rolled out a ballot measure to make sure every candidate for county office faces voters in the fall. Right now, candidates for county office can win outright during a primary if they get a majority of the vote. SEIU already backed a new law that made changing county elections easier, part of its broad effort to change county government policies, which are largely set by a conservative, all-Republican Board of Supervisors.